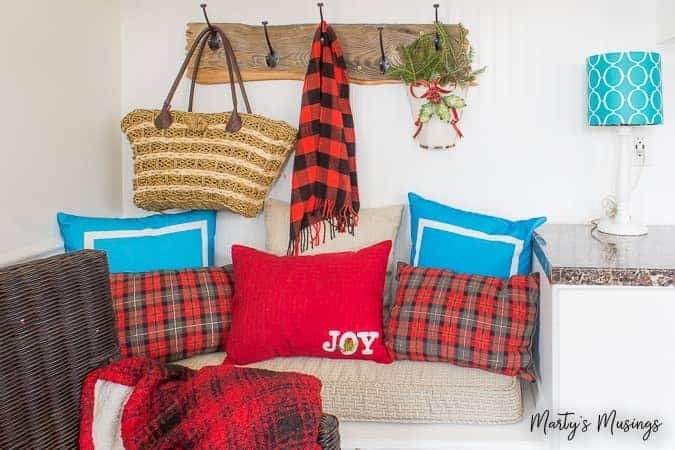 Can’t sew a lick but want beautiful pillows for your home? 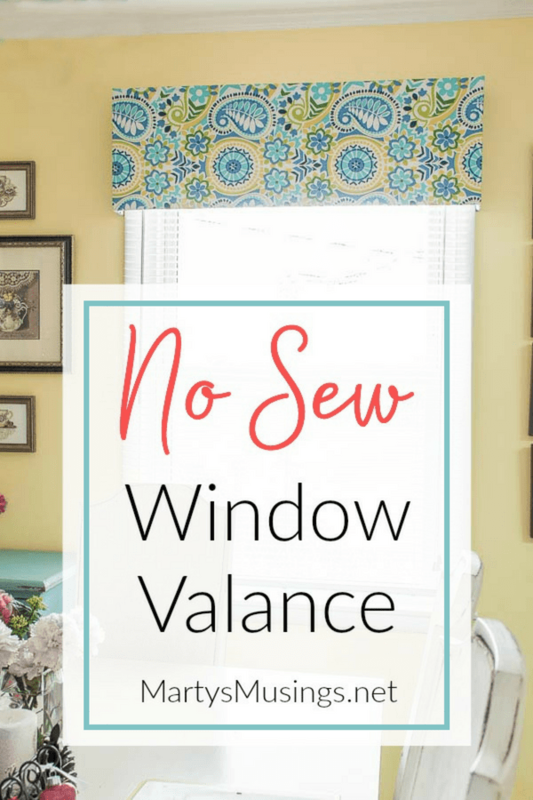 This easy and inexpensive DIY no sew place mat pillow is the answer! 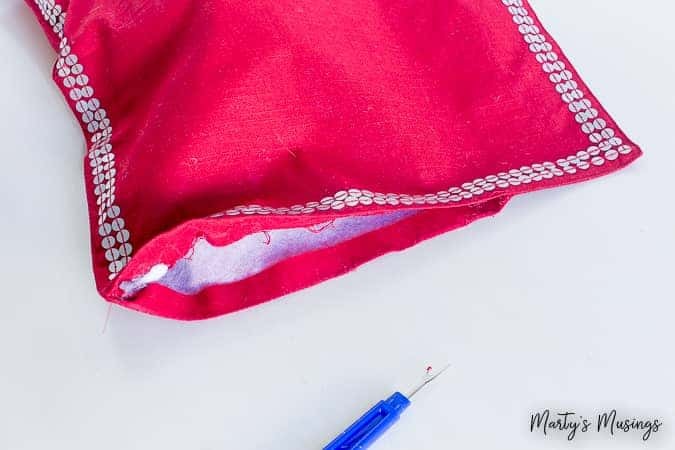 No sewing machine required and it’s easy and cheap to change up for any season of the year! Have you ever known someone who was very handy with a sewing machine? My mom used to make some of our clothes when I was little and my sister churned out window treatments like nobody’s business. I’ve always known I could find clothes for our family cheaper at yard sales than I could buy fabric. A cop out, maybe. Truthful, yes. Plus, even as crafty as I consider myself, I don’t know how to sew. Let me tell you a little secret, though. I have a $10 yard sale sewing machine up in my attic collecting dust while I find the time to learn how to use it. Until then I have a quick and easy project for all you no sewers (I gave us a name, y’all!) that’ll make you feel all professional and creative. 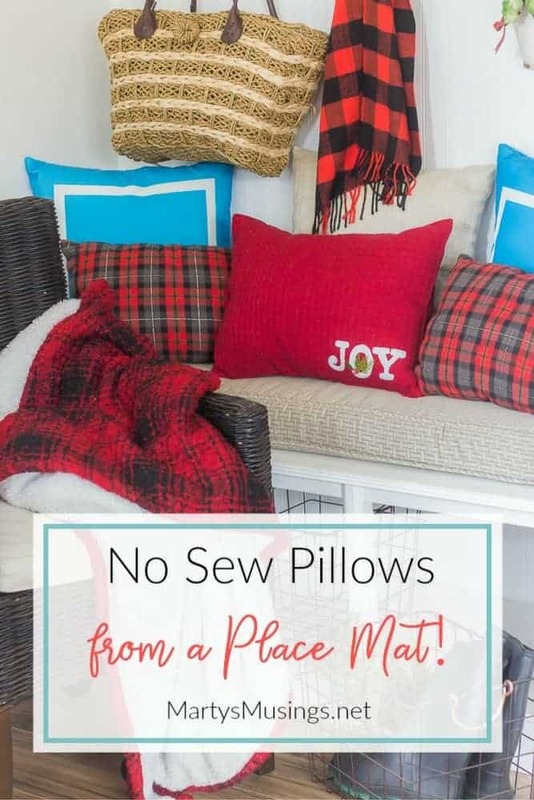 This easy No Sew Place Mat Pillow is it! Can you believe it? You need to run out and snag some cute place mats RIGHT NOW! 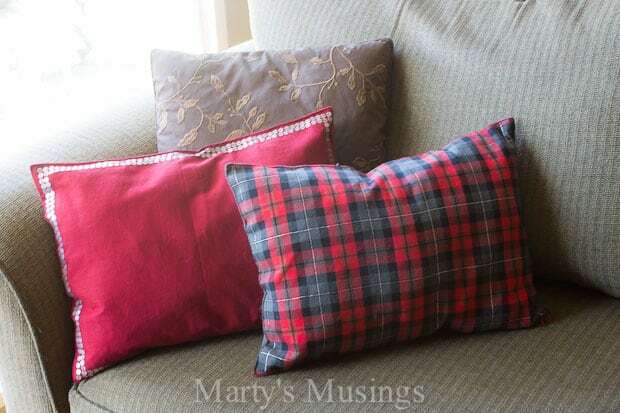 Seriously, I had seen the idea of using place mats to make pillows and thought it was a genius. Here’s my version of the idea. The main thing in buying the place mats is to make sure you can take one seam apart for stuffing. Also check that the fabric is thick enough for whatever you’re using the pillow for. In other words, if it’s just for show the fabric doesn’t have to be as sturdy. If your kids are going to be lounging on the pillows, use a thicker material. 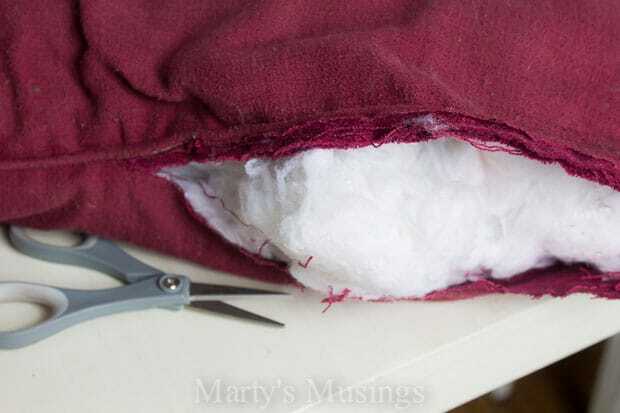 Use an old pillow for its stuffing or polyfill (found at craft or fabric stores) and stuff the place mat until it’s as fluffy as you want it. One of my favorite yard sale tips is to find “ugly” pillows at yard sales and just remove the stuffing instead of buying new polyfill. That’s it! You’re done! Isn’t that amazing? If you don’t like the idea of hot glue you can also use hem tape (Stitch Witchery) to attach the ends together. Yes, I know it might be hard to wash this, but for approximately $3 a pillow you can either use it decoratively or swap it out if it gets rough looking. 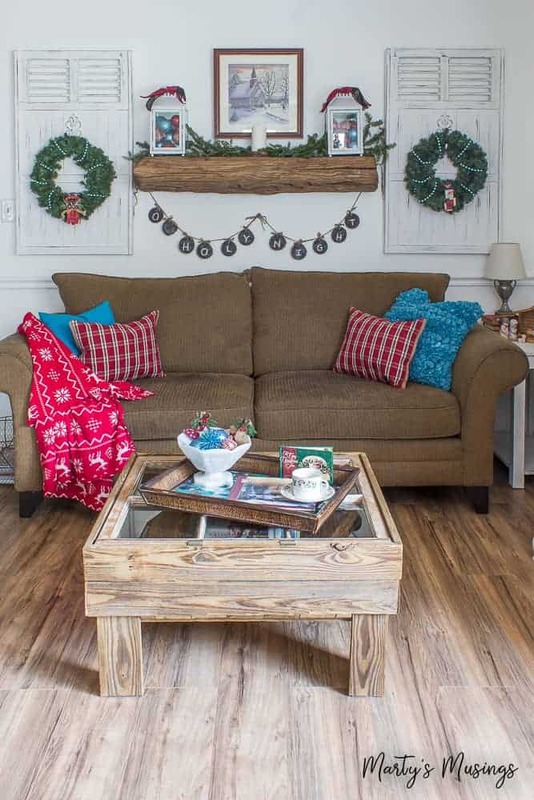 This project can easily be translated to any season or decor. Look for place mats on clearance or at the end of a season. 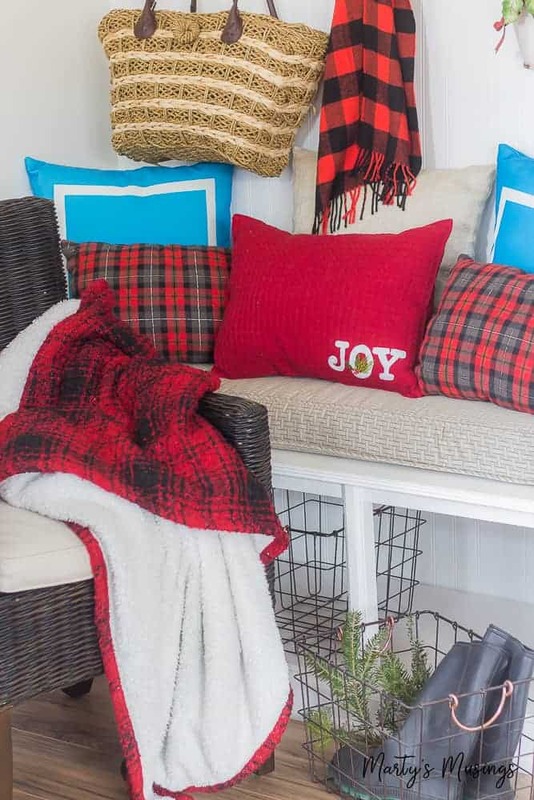 The “Joy” place mat was my favorite Target find and the plaid pillows were place mats as well. Do you “no sewers” need more inspiration for your home? Check out these posts! This is a brilliant idea. I had not seen this, so thanks for sharing Marty. I wish I could claim credit, Diana, but I just saw it on Pinterest and thought it was too good to keep to myself! Have a blessed Christmas! This looks easy enough for even me to do! Thanks for sharing Marty…Merry Christmas! Hi, Rhonda. This is definitely for those who don’t sew, like me! Love my glue gun! Thanks, Heather! I hope you have a fabulous Christmas! Love this placemat no sew pillows! Will be sharing with our readers!!! Thanks for sharing, Deborah! 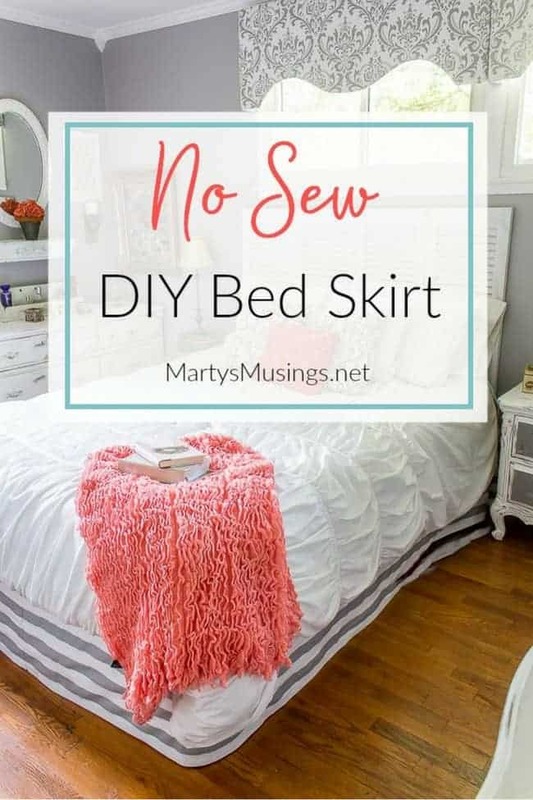 I’m definitely a no sew girl! 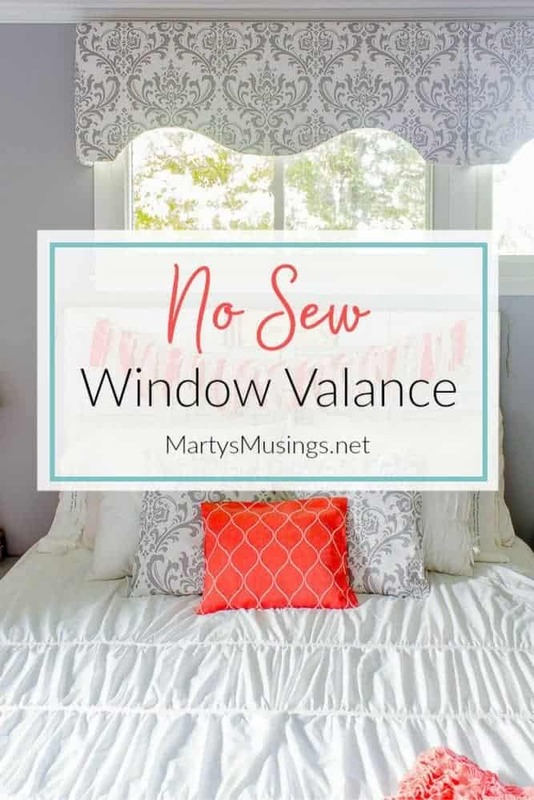 I don’t sew and this is the perfect project for me… THANKS so much for sharing! I don’t sew, either, Jean so this was a great option for me as well! I hope your project turns out well and thanks for reading! That’s a clever idea using placemats! 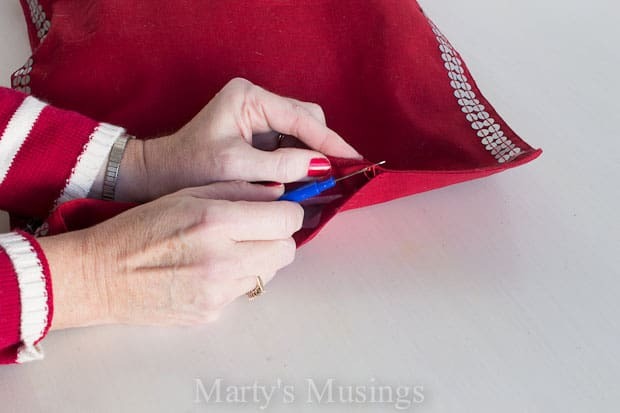 Since I sew I would omit the hot glue and stitch it together, but the idea of placemats is cute as there are always pretty seasonal ones available. Hi, Linda! I’m glad you liked the place mat pillows! I’d love to be able to sew like you! 2 words – Freakin genius!!! You can also find double layered table napkins. Same idea… Un pick part of one seam and then stuff and close. I made two before Thanksgiving out of 20 inch sq. Napkins. Popped a couple of 20 inch pillow forms and the slip stitched the opening closed. Yes I am a sewer. I like to be able to wash cushion covers on a regular basis. I plan on sewing some snaps or even velcro for ease of removal. You might prefer fabric glue or iron on tape for washability rat her than hot glue. Hi, Mary. What a great idea with the napkins. I hadn’t thought of looking for some that large but now I’ll be on the hunt! And yes, I’ve used fabric glue instead of hot glue as well 🙂 It just depended on how much time I wanted to spend on the pillow. Sometimes with the seasonal ones that will just get stored in a bag I don’t worry about it. Thanks for your tips! Marty, you are a genius! Great idea! Super fast and darling!! I admit I have a sewing machine that I’ve used to sew straight lines and make curtains out of sheets but I’m much happier using my glue gun! I can’t wait to try this!! Hi, Annie. So glad you like this project even though you know how to sew. Sometimes it’s just easier with a glue gun! I forgot to commend you on the frugal yet “awesome” idea of buying pillows at garage sales and using the stuffing! Heck, we might get lucky one of these times and get a few pillow forms!